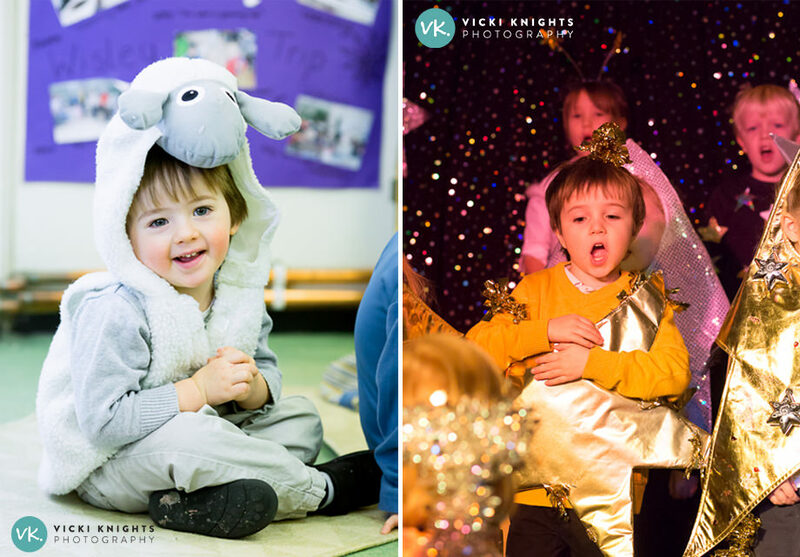 Photographing your child in their nativity play…one of those precious moments that you desperately want to capture but often your photos don’t turn out as you hoped! 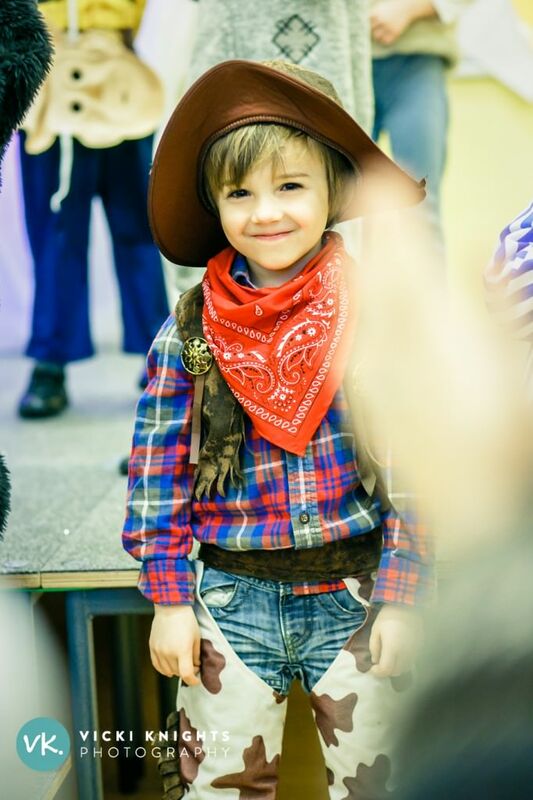 Now I’m not going to lie to you, photographing your child on a stage in a badly lit hall, with about 5 rows of parents in front of you is never going to result in amazing photos that you want to frame and put on your wall! 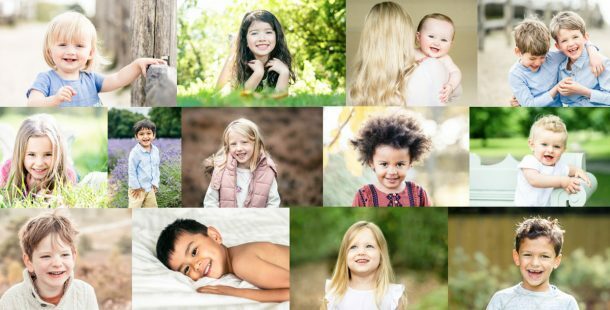 But hopefully these tips will help you to get some usable photos for your family album to remember your child’s nativity play. …and that you have space on your memory card. I know it sounds obvious, but are you telling me you’ve never got your camera out of your bag and realised you completely forgot to charge it? It’s happened to the best of us! If you’re not in the first two rows you are best to choose an aisle seat so that you can stand up at the side without blocking anyone. 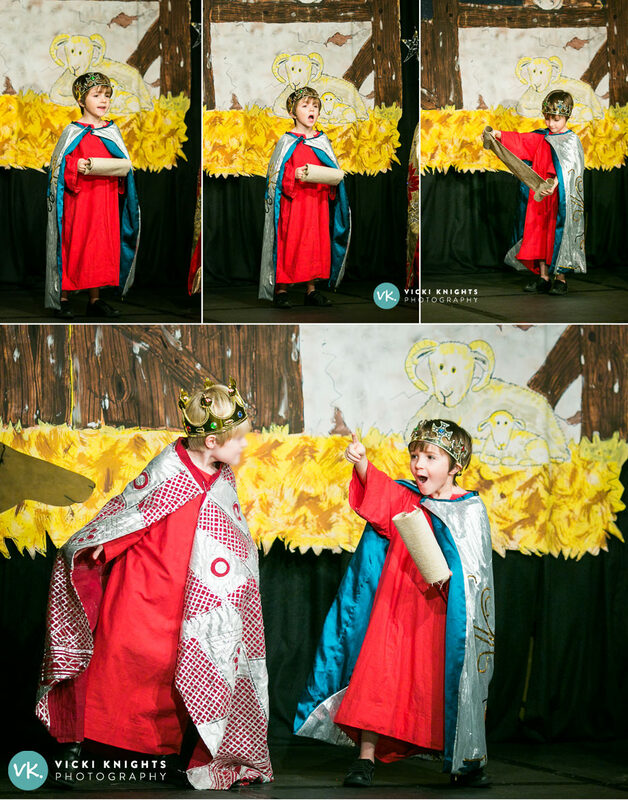 That is what I did for these photos of my eldest in this nativity play. I love taking photos with my iPhone, but this situation definitely calls for a DSLR camera if you have one! If you have a longer lens than the kit lens your camera came with, then I would definitely suggest using it. You’re likely to be quite a distance from your child so you may need a longer lens to get in close. Your flash will only light up the area around 10 feet in front of you, so there is really no point using it at a nativity play. Even if you are in the front row, you will only annoy everyone else if your flash keeps going off! I have two suggestions for settings depending on your knowledge and experience. First is the more advanced tip if you have attended one of my Photography for Parents workshops or know how to use your camera off auto, and the second tip is for beginners who shoot in auto. Advanced tip: Don’t be afraid to put your ISO really high. If your camera’s ISO only goes as high as 1600 then set it on that. Put it higher if you can, but try to avoid going above ISO 3200 as your photos will be very grainy otherwise. If your shutter speed is dropping below 1/100 then just put your ISO up to what it needs to be. Better to have a bit of grain buy amoxicillin suspension online than a blurry photo because your shutter speed is too slow. Beginners tip: If you are shooting in the automatic mode then the flash will shoot and you will end up lighting up the other parents’ heads in front of you rather than the stage! So instead switch the mode dial to the ‘flash off’ mode. Then the camera will know not to fire the flash and instead will put the ISO as high as possible in order to take the photo. Your photos will be grainier than if you shot with the flash, but they will be much nicer! Yes you probably will have an adult’s head in the row in front of you blocking part of the photo. Yes your child’s face will probably look really orange in the hall lights. Yes your child is likely to be pulling funny faces as they sing. But you will look back at these photos in decades to come, and smile as you remember just how young and cute your babies once were. This photo on the left is a great example of accepting the imperfections. At first I was really frustrated as the person in front of me raised their hands to clap and blocked some of the picture. Then when I uploaded it to my computer all I saw was the proud look on my son’s face that he had finished the play he had been practising so hard for. In fact, I then realised that the blurred hands in the foreground actually add to the story of the image as you can see that he is standing there being applauded. So the moral of the story is that sometimes that the beauty of an image is in the imperfection. I hope these tips will help you to take some nice photos at your child’s nativity play this year. And please don’t forget to put your camera down and enjoy it as well! If you found this useful, I’d love you to share it with your friends. And if you want to learn more great tips on photographing your family, then join us on my next Photography for Parents workshop. I have just confirmed the date of my next Photography for Parents workshop which is Friday 1st February, see details here. I have lovely gift vouchers available for Christmas! Deadline for postal gift vouchers is 14th December. PS. If you enjoyed this, then I think you’ll like my top 5 tips for taking more than just snaps this Christmas as well.